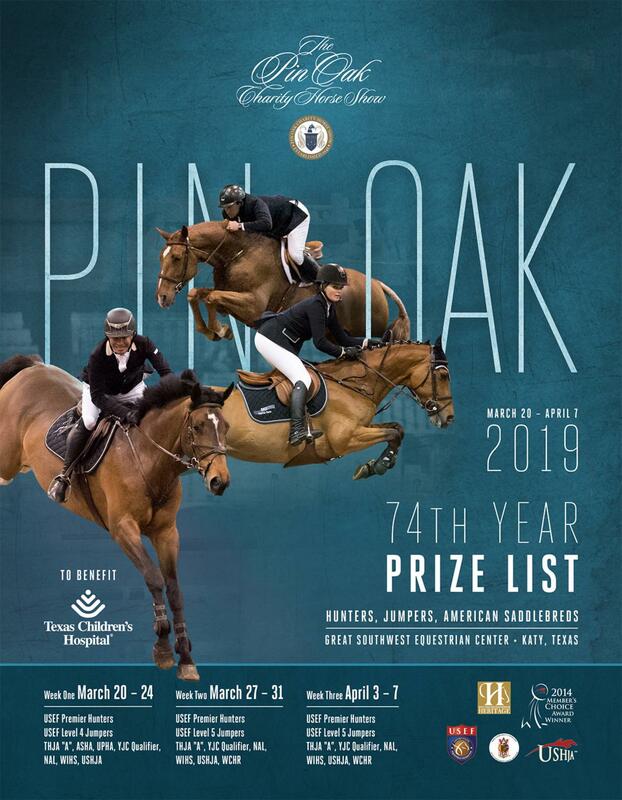 Media is welcome to attend Pin Oak with complimentary all access passes by contacting our marketing office at media@pinoak.org. Requests due by March 1. All photography and videography for individuals/professional barns must be purchased through our official show photographers and videographers. Anyone without media credentials will be asked to leave. 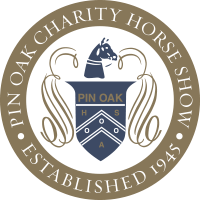 • Pin Oak Charity Horse Show (POCHS) prohibits the use of any still photography and/or video cameras for commercial sale or distribution through websites, social networking sites of any other media. Any commercial or mass distribution of photography and/or video, or advertisement thereof, taken of subjects within the competition areas without prior written consent from show management, is expressly forbidden. • As a general guideline, owners, fans and media may use “point-and-shoot” cameras. Professional photography equipment, cameras with lenses longer than 4 inches and/or camera support pods or tripods or video cameras of any size mounted on a tripod, are not permitted under any circumstances except by credentialed media or with prior written consent. No flash photography or video cameras with lighting will be allowed of subjects within the competition areas, unless prior written consent is given by show management. • POCHS owns the copyright for photos and videos from the Pin Oak Charity Horse Show. POCHS secures official photographers and official videographers for this event. Anyone, other than these official sources, who provides or intends to provide photos or video from the competition areas to a third party – whether for free or for purchase – may be ejected from the POCHS or banned from POCHS indefinitely. • Media credentials may be issued to journalists on assignment by recognized and well-established magazines, newspapers, news services, publications, television and radio networks, local television and radio stations, Internet sites, agencies representing farms and ranches, and other approved media outlets. • Internet sites will only be considered if they cover horse shows on a regular basis and are consistently updated with news and features, or are local or tourism-based sites for area in which the event is hosted. Websites must be free from profanity and offensive language. • Freelance journalists must provide proof of assignment from a well-established and approved outlet to be considered for accreditation. If photographer credentials are granted, he/she must also confirm that the images taken will only be used for that specific publication and for that specific story. Freelance writers may only receive a credential based on the publications they are representing and on a pre-approved story concept with a credible outlet. • Media credentials, if granted by show management, must be worn prominently and at all times while on the POCHS show grounds. • The deadline to apply for media credentials is March 1. POCHS reserves the right to deny any media credential request. • For photography, videography and television guidelines, see the following section. • All “Media Guidelines” apply. • If credentials are granted, members of the media may photograph or video within designated areas of the facility for the purpose of news coverage associated with POCHS. • Because many areas of POCHS are open to the public during the show, special arrangements cannot be made to quarantine an area from normal visitor traffic. All photography and videography must be conducted without disruption to event operations or limitations to accessibility of entrances/exits, high traffic areas or other locations of interest to POCHS visitors. • Credentials and permission to take photos and video will be granted on a case-by-case basis. • For videography credentials, it is suggested to submit a letter, written on company letterhead, stating the intent of the project and timeline, in addition to supplying all information required in the application. • No more than two and one half minutes of competition footage can be aired prior to POCHS television coverage of the horse show. Violation of the above Visitor and Media Guidelines may be grounds for immediate removal from GSWEC premises, or an indefinite ban from future POCHS / GSWEC events. • As reciprocal assistance to POCHS for privilege of participation in the Horse Show, POCHS may use, without payment of any fee whatsoever, any photograph or other forms of likeness reproductions of an event participant, horse owner, their horses and registered, or generic “barn” equine names, to promote POCHS’s objectives and activities including, but not limited to, use by third parties with authorization from POCHS. 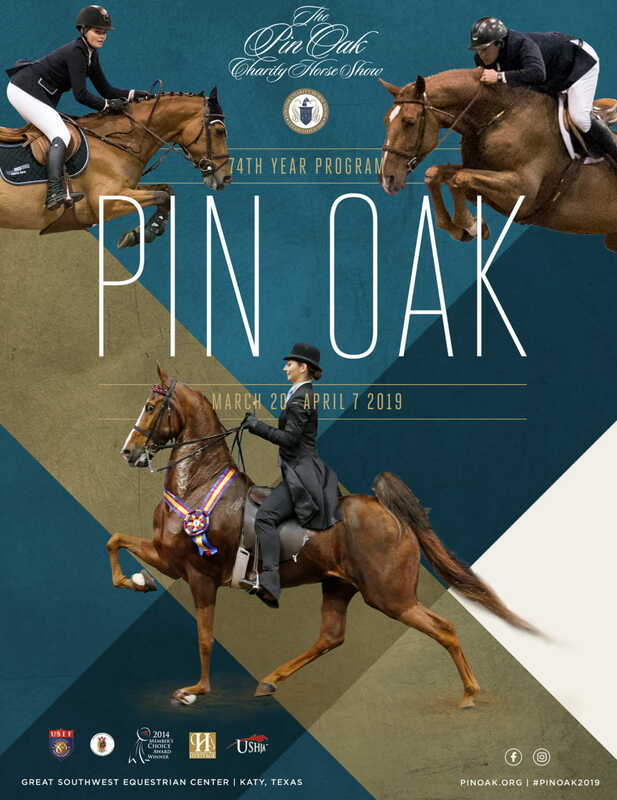 • For media registration submit your Credential Application form and once approved you will be given access to the Great Southwest Equestrian Center (GSWEC) show grounds and requested Pin Oak Charity Horse Show events. Qualified media can attend the Sponsor Club events and show at no charge. • Those deemed not qualified as media/press can still attend, but will not be able to report of photograph the event. • Credentials or complimentary tickets for spouses, friends, etc. of media representatives will not be provided. Individuals who attend an event with a credentialed media representative will be required to purchase a ticket. Note: Media Badges will be held for pick-up at the Sponsors Club check-in desk during the event. Media are required to show verifying credentials in order to receive their Media Badge. Great Southwest Equestrian Center / Pin Oak leadership are responsible for determining if individuals qualify for Media Registration.